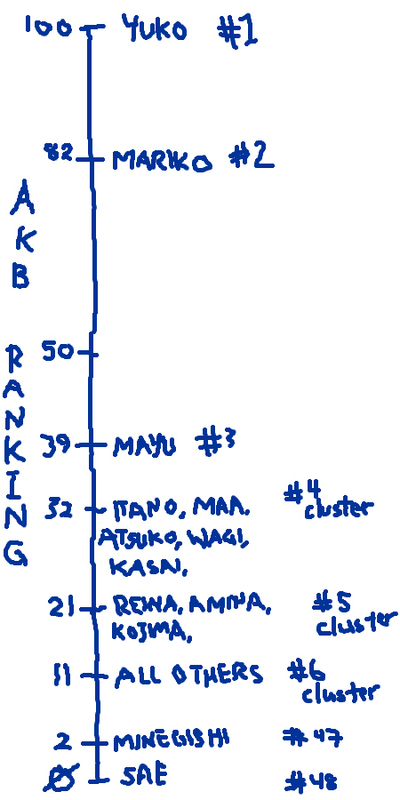 AKB48: Oku Manami Surges into #4 Cluster! File this under the “Yes This Is News” department. Formerly, Maa had been in the #6 cluster of “all others” despite having known about her for quite some time and been largely unaffected by her attempts to capture my affections. However, this one picture immediately places her in the #3 bunch. The bigger question: Is it possible for me to catch a glimpse of a Sae or Minegishi pic that will shake up my spectrum? I say not likely, but we’ll just see.. I meant to combine weeks 11 & 12 because I was pretty sure I wouldn’t get much done, but not the case. Since it’s so late into Week 13 already, I figured I might as well make an all-inclusive. On Week 12, I assembled more raw materials for the cardboard Solomon’s Temple, with the intent of creating a 3D diagram for use in teaching kids at my church about what the place looked like, in cut-away. 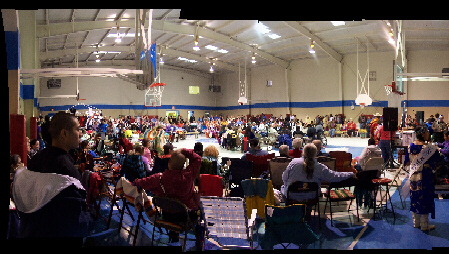 On Week 13, I extensively photographed and video-recorded a 3rd-annual benefit Pow Wow that my dad and the Native American group he heads up, where proceeds go to ARC. For my non-US readers: “Native Americans” doesn’t refer to people who were born in America, but instead any of many hundreds of indigenous tribes of people that lived on the land prior to the esteemed “discovery” by Europe. A “Pow Wow” is, today, loosely a celebration generally for a specific tribe unless, as in this case, it is intertribal. Native Americans are sometimes called American Indians, due to a legendary mix-up by discoverers thinking the land they’d struck was actually India. There are vendors who sell crafts and works of art based on the Native American culture, cultural food like Indian Tacos, and foremostly, a large central circle with a giant drum made from animal hide in the center, surrounded by inward-facing drummers and singers who all pound on the drum simultaneously in beat and sing, while various activities occur around in the circle behind them. They’re often outside, but it is not uncommon for them to be held indoors, as this one was. Below is a panorama picture I took of the circle (click on the image to see full-size). On the far right is a head table. You’re generally supposed to only walk in the circle in a clockwise direction. If someone only needed to walk up to the table and they were on the table’s left a quarter of the way around, they’d have to walk 3/4 of the way around instead of straight up to it. However, most tourists who visit Pow Wows are unfamiliar with this practice and regulars glare at them when they do but often don’t mention it. If you do obey the clockwise rule, you’ll get some instant credibility with the regulars for knowing better. Also, if anyone has any idea what in the world that is, I’d like to know. It looks like there’s a bench in front of it, for scale.